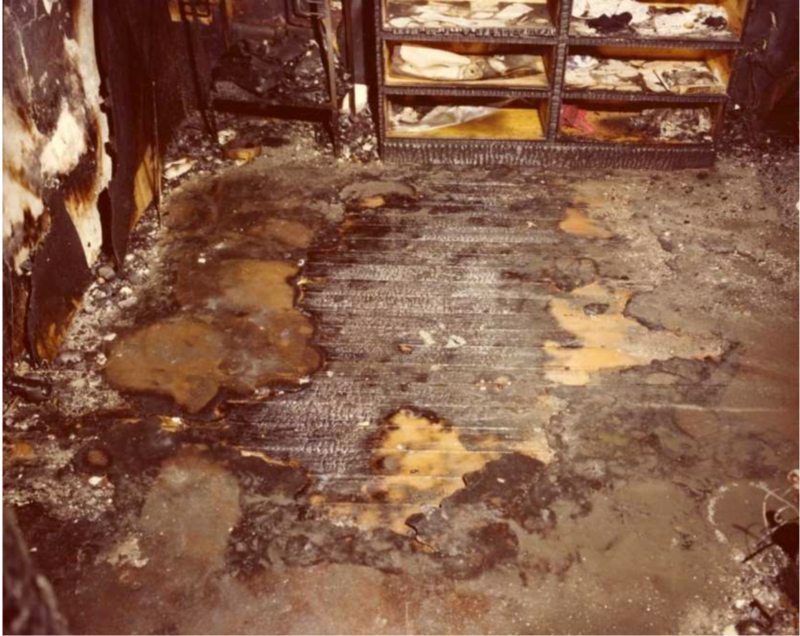 The case was called the “Burning Bed” because the prosecution’s theory of the case was that Hugney in a fit of anger set his house on fire by pouring flammable liquid around the bed of his then 16-year old son: his namesake James Hugney, Jr while his son slept in the bed. His house was gutted by the fire. Five days after the fire, his son died as a complication of his burns where he had 3rd degree burns over 98% of his body. However, the investigators could not establish a definitive cause, origin or first fuel for the fire. This method is called the Negative Corpus method of fire investigation and was the lynchpin of the prosecution’s case. 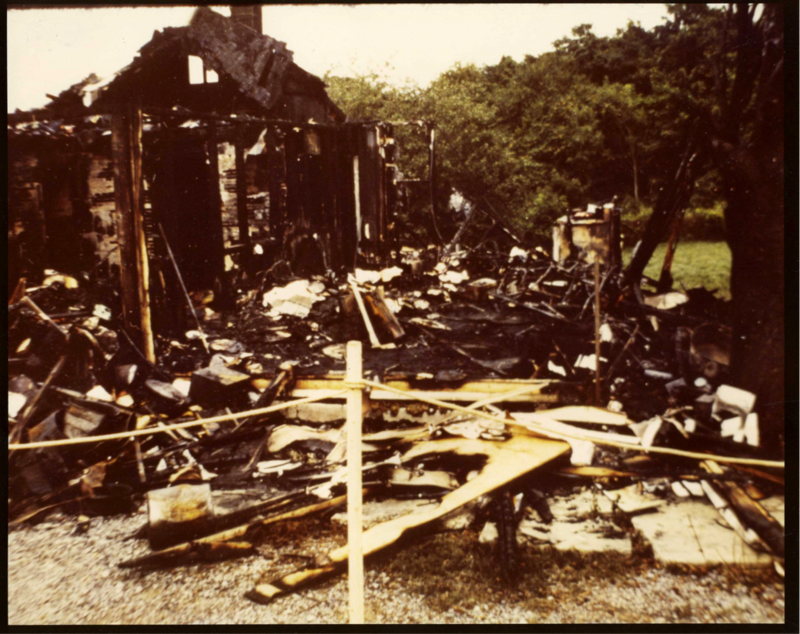 The 1625 Bamberger Road house in Harrisburg, PA after the fire fully consumed the house. After his trial attorneys in 1979 did not challenge the opinions of the fire experts that it was an arson, James Hugney was convicted and sentenced to life in prison. Life in prison in Pennsylvania means that there is no possibility of parole. Life means life. Every day for 36 years, Hugney has maintained his innocence. But for the fact that capital punishment (the death penalty) was suspended in the United States from 1972 through 1976 primarily as a result of the Supreme Court’s decision in Furman v. Georgia, 408 U.S. 238 (1972), he may very well have been executed by this time. Nearly four years ago, Attorney Justin J. McShane and the attorneys at The McShane Firm, LLC took up the investigation of Mr. Hugney’s conviction. Upon his initial review of the case, Attorney Justin J. McShane who is a well-known lawyer-scientist who focuses on forensic science related cases knew that “the science was wrong” in this case. McShane retained 3 international fire scientists: Dennis Smith of Premier Fire Consulting Services, LLC; John Lentini of Science Fire Analysis, LLC; and chemist and fire investigator Samuel Blittman. All three of them independently and categorically stated that the scientific methods used to condemn Hugney to life in prison are not supported by modern science. They stated in the reports, which were filed with the court, that they could not conclude that this was an arson using modern best practices of fire science. The lynchpin to the conviction had been pulled. With that, McShane filed a motion to set aside the near 36 year conviction. Hugney entered an Alford plea to third-degree murder and arson and was re-sentenced to time served. An Alford plea is a guilty plea where a defendant proclaims innocence of a crime, but admits the prosecution has enough evidence to prove guilt. Now, after 35 years, 11 months, and 8 days of imprisonment, he is a free man. “This is a great day for James Hugney, a great day for justice, and a great day for science,” said Hugney’s attorney, Justin McShane of The McShane Firm. “We give thanks to District Attorney Ed Marsico and First Assistant District Attorney Francis T. Chardo III who as honorable and noble shepherds of justice in Dauphin County did the right thing. Without them, justice would bot have been served in this case. It shows a remarkable sense of ethics and morality that these two are already well known for. While no one can give him back the nearly 36 years of his life that he lost, at least Mr. Hugney has his freedom now,” said McShane. Sources say the prosecution does not plan to re-open the case.